If you’re looking for great value in Edmonton, then Elements at McConachie by Carlisle Group is sure to pique your interest. Whether you’re an outdoorsy type or an urbanite, the project offers a great location. Close to a six acre pond and surrounded by natural trails, Elements at McConachie still provides access to schools, shopping, and all major traffic corridors. And, if you’re a golfer, you might think you’re in Heaven: Elements at McConachie is literally surrounded by golf courses. A big part of what makes the project’s location so great is the price. Two bedroom suites start in the low $120’s, which means you can own a new condo for as low as $239 bi-weekly. 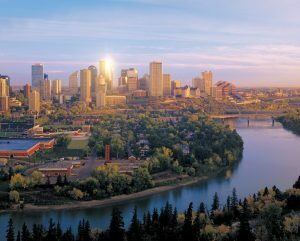 Talk about affordable living in Edmonton! Better yet, the homes are highly customizable, and after purchase you can choose the colour motif and additional upgrades. For more info call 780 977 0616, email elements@carlislegroup.ca, or visit their website.